I write this final report of the year from our home in Vancouver. Our three month stay in Nicaragua came to an end on the 9th of December and we are looking forward to celebrating the birth of our Saviour with family. I return again to Nicaragua for another three month stay on the 15th of January just in time to welcome President Bugbee and Dr. Neitzel to the First Regular Convention of Iglesia Luterana Sinodo de Nicaragua. Our stay in the country was a stay filled with surprises. That remained true right to the last few days before our return. The Synod was having their bi-weekly meeting of pastors and deaconesses. The meeting provided me with the opportunity to visit with Missionary Rufino who was to be moving during this month of December to Rivas. (You may recall that Missionary Rufino had completed his service in Granada and had been called by the ILSN to begin new mission work in Rivas.) He shared with me the difficulty of finding a house to rent in Rivas within the budget that we had set and asked what I thought of the idea of renting a house in Jinotepe, a community about 30 kilometers from Rivas. “But that would mean that you would have to commute every day to carry out your ministry in Rivas,” I said. “But I wouldn’t have to commute to Jinotepe then,” he responded. “I’ve begun mission work there too and have a small group that gathers for study.” He then told me the story of how it all happened. Some time ago we had received at the mission centre a request from a family in one of our congregations on Vancouver Island. They had been providing support for a young lady in Jinotepe through a Children’s Charitable Agency. Because the young lady (who is also disabled) had reached adulthood and was no longer eligible for their program, our Island family asked if it might be possible for our mission to provide a channel so that they could continue supporting this young lady. Working with our office in Winnipeg, we sorted out a process to make it happen. 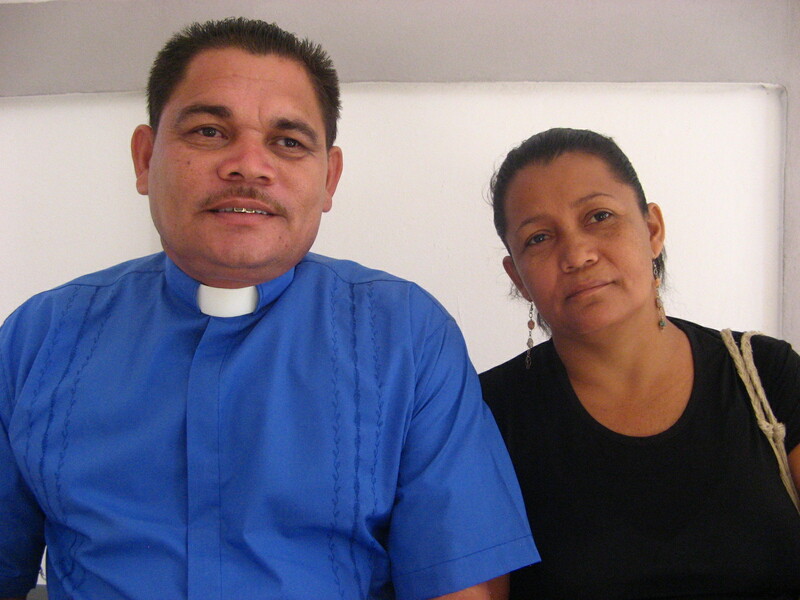 We also made arrangements to have Missionary Rufino deliver the small stipend each month. After all, the community was just a short detour off his regular route from Granada to Rivas. And again we saw it happen. A social ministry service becoming an opportunity for Gospel proclamation. Missionary Rufino delivers the stipend; He begins visits with the family; He visits with the neighbours and others in the community. And it isn’t long before he has a small group of people gathering with him for bible study and worship. And should we be surprised – a new mission station was begun. We have now rented a house in Jinotepe within our budget and Missionary Rufino and his family are moving in later this month. God’s ways are wondrous to behold. The Synod will need to amend Missionary Rufino’s call. I refer to events like this one as “surprises.” I suppose that’s really not a very good term. The word “surprise” may imply that one is surprised that God actually keeps his promises. Perhaps a better term might be “joyful blessing.” After all God does keep his promises. When His word is shared, it doesn’t return empty but accomplishes what He ordains. Remember Missionary Rufino and his deaconess wife, Maryanne as they begin this new chapter in their service to Christ and His church. I’m looking forward to visiting him and this new mission when I return! A Blessed Christmas to you! You are currently browsing the LCC On the Road blog archives for December, 2009.